IRA Rollover Legislation. On May 6, 2016, House Rep. Roskam introduced H.R. 5171 – the IRA Legacy Act. The Act permits life-income rollovers to begin at age 65 with qualified life-income plans to include CRTs and CGAs. For donors age 65, the cap is $400k and for donors age 70 ½ the combined ceiling for direct and life-income gifts is $400k (with $100k cap for direct gifts). Life-income distributions will be taxed at ordinary income rates, and authorized income beneficiaries will include the IRA owner and/or spouse with assets distributed to named qualified charity on death. The bill scored quite favorably at only $106 million over 10 years. 2016 Summer Advocacy Campaign. PPP is urging members to build support for the IRA Legacy Act by encouraging Congress to move on its passage before year end. The Congressional summer recess is mid-July through Labor Day and we are asked to contact our U.S. Representatives to ask them to support H.R. 5171 (the IRA Legacy Act) as cosponsors. (As of July 8, 2016, only Rep. Devin Nunes (R-CA-22) had signed on as a cosponsor.) The PPP website provides material to make it easy to join the campaign to urge your House Rep. to become a cosponsor at Steps to Contact Your Representative and http://blog.pppnet.org/ppp-summer-advocacy-campaign-2016. 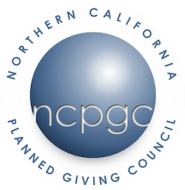 The Northern California Planned Giving Council works with other councils in California to continuously monitor changes in the planned giving field. 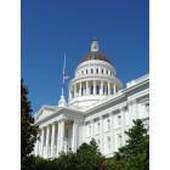 Click California Councils for a list of other Council.